A seductive combination of style and exclusivity, the 86 Yacht delivers on all fronts. From bow to stern, every detail has been crafted to perfection. Inside, the main saloon is a large welcoming space; full of natural light, hand-finished furnishings and state-of-the-art technology. The outstanding level of design and craftsmanship continues below deck, where both the owner’s stateroom and guest cabins offer privacy and extravagance in equal measure. Yet, there’s more to this yacht than sublime style. An incredible 1500nm range at 10kts defies any industry norm. With a top speed of approximately 30 knots, guests can experience an exhilarating open-air ride from the flybridge or relax and enjoy the stunning scenery from seating areas both fore and aft. A future great. An instant classic. This Sunseeker 86 Yacht is nothing less than a redefinition of the contemporary luxury motor yacht. It is the culmination of many years of groundbreaking innovations in style, technology and superior seagoing character. 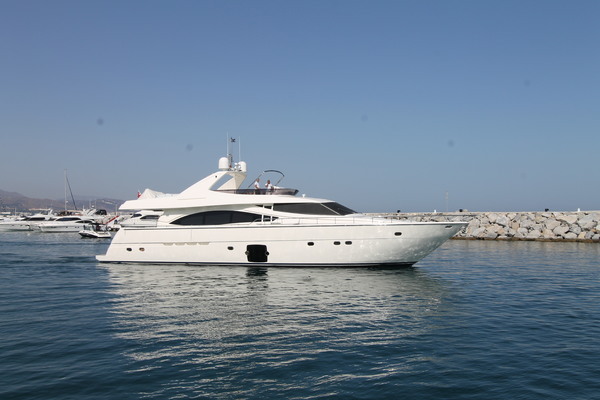 Accommodation up to 8 guests in 4 luxurious en-suite double cabins, the 86 Yacht is extremely well proportioned and allows for generous accommodation from the spacious and elegant owner’s suite, all the way down to the spacious crew cabins (2x2) and crew mess. Virtually new and presented in exquisite condition, this 86 yacht is priced very competitively compared to a new yacht, and you don’t have to wait for two years for construction of a new-build. 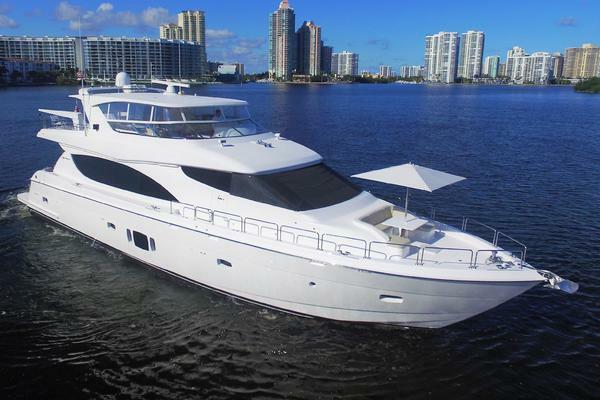 United Yacht Sales New Jersey would love to guide you through a personal showing of this 86' Sunseeker 86 Yacht 2015. 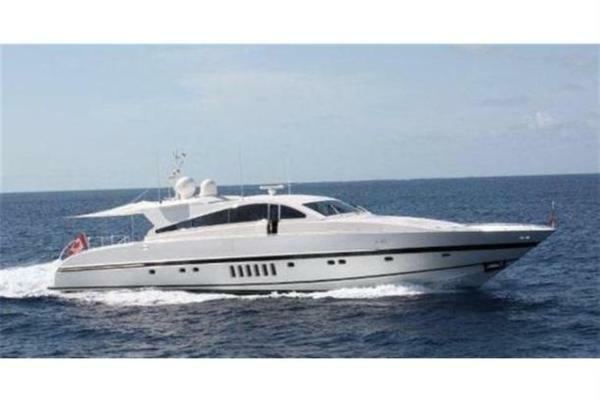 This yacht for sale is located in Unknown Hong Kong and priced at $3,990,000. For a showing please contact us by filling out the form on this page and we will get back to you shortly!